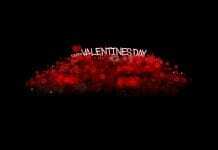 Talking about love usually leads to romantic and emotional sayings. However, love has more flavors aside from touching moments. There are surprise, humor, anger and even fear. All of these profound feelings enrich the journey of loving someone. 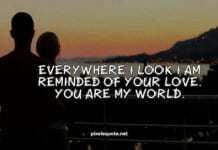 This incredible journey can be described animatedly through a number of funny love quotes. 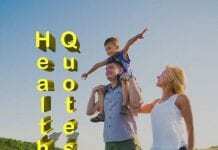 These quotes are humorous on the outside, but wise and inspirational on the inside. They will help to refresh, maintain and grow the bond between loving couples. And they will teach us how to realize the nature of love and treasure this beautiful feeling. 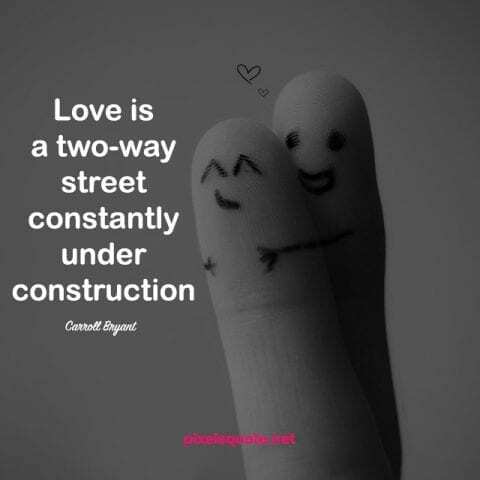 “Love is a two-way street constantly under construction.” – Carroll Bryant. Love does not crave a smooth and straight road between lovers. It is a journey of knowing, discovering, breaking and coming back. There will be ups and downs, happiness and sorrows. Love is not all about strong feelings towards each other. The effort from both sides is also what we need to overcome obstacles and reach a happy ending. 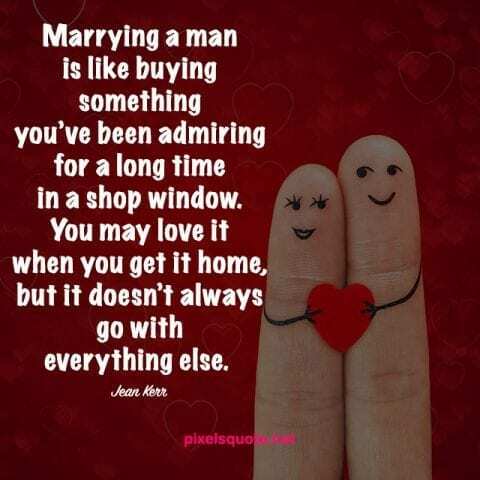 “Marrying a man is like buying something you’ve been admiring for a long time in a shop window. You may love it when you get it home, but it doesn’t always go with everything else.” – Jean Kerr. Marrying a man is a special turn in a woman’s life. On one hand, she achieves her dream of living with the one she loves. On the other hand, suddenly she realizes it is not as fancy as she imagined. Marriage comes with various problems that you cannot know when you are just in love. So, be prepared for the reality of marriage before you take your love into a new level. There is a wisdom hidden in funny love quotes: love is dangerous. 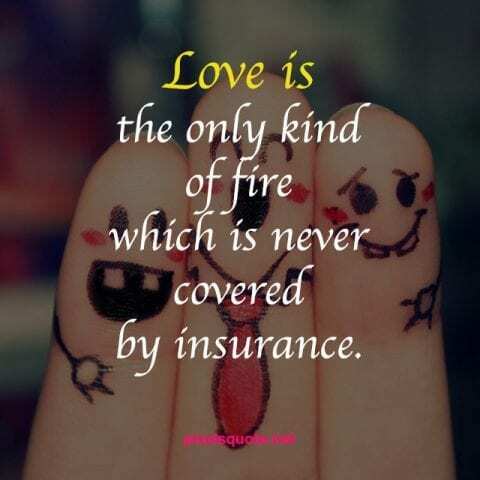 When we are in love, we throw ourselves into a kind of fire without knowing whether we can escape. No one can ensure if you can get out of a relationship calmly and safely. Yet next time, we will still love with all our hearts. This is its nature and also its beauty: insecure, but still sparkly and seductive to any human being. Love is a magical but also dangerous path. Love makes us do crazy things without stopping to think if we should do or not. There is no warning sign that the road ahead is under construction. And there is no traffic light to stop us before we are hit by a misfortune. Falling in love is like throwing ourselves into an adventure, trusting in our gut and hoping for a happy ending. 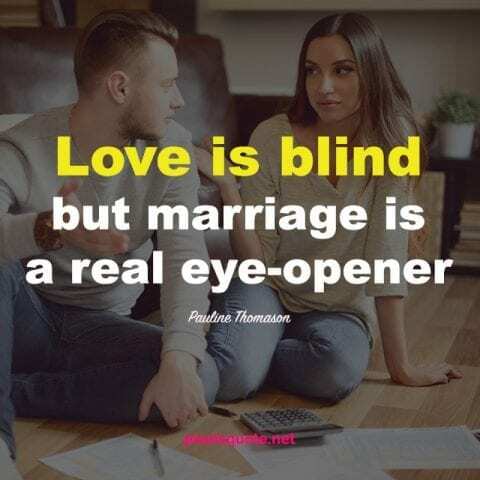 “Love is blind but marriage is a real eye-opener” – Pauline Thomason. Marriage may root from love but it is a totally different experience. Love is dreamy and pretty while marriage is real and tough. People in love are blinded with their feeling and ideal image of their loved one. But once they get married, they start realizing different sides of each other and the committed relationship. In that sense, marriage is an eye-opening experience that you should be prepared for. 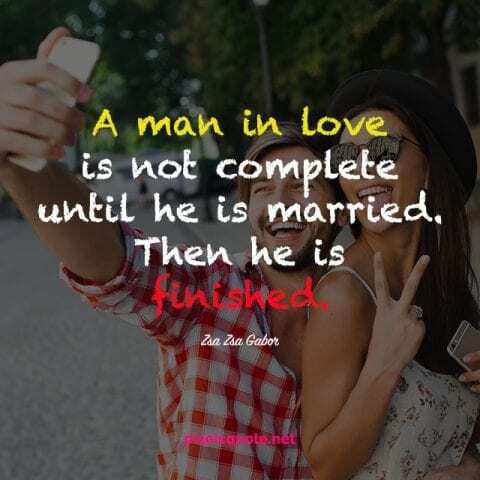 “A man in love is not complete until he is married. 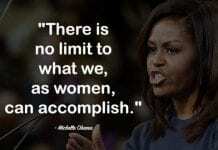 Then he is finished.” – Zsa Zsa Gabor. A man in love is just at the midpoint of his romantic journey. He starts to know the tastes and beauty of love, with the need to be with his loved one forever. 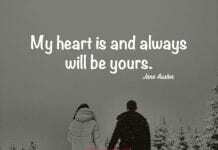 A man in love feels that his loved one is the missing part inside his heart and life. When a man gets married, he becomes complete. But at the same time, he is also finished with no more freedom and lots of new responsibilities. For most men, marriage is the end of the road. 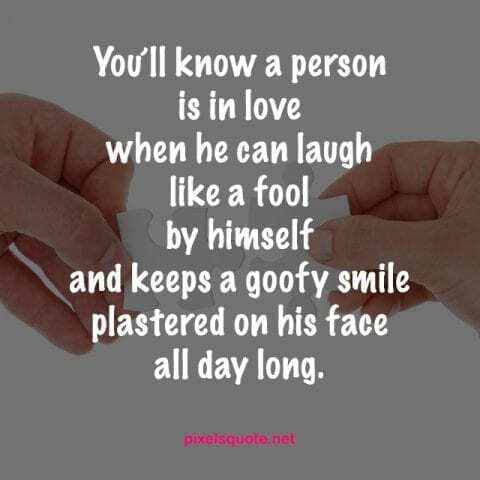 Love puts smile onto a man’s face and turns him into a fool. 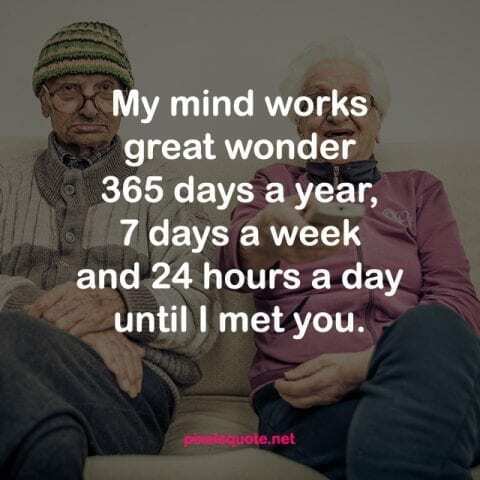 Funny love quotes describe exactly the how you can tell a man is in love. He does all the goofy things and happiness is radiated through his facial and body expressions. Because of love, the world becomes a wonderful place full of excitement to his eyes. That is the magic and beauty of love. Love has the power to disturb the normal patterns of mind. Suddenly we stop thinking logically and just let ourselves pulled by the strong and special feeling called love. Suddenly, we stop analyzing life and just enjoy every moment we share with each other. Love can make us get out of our small world, sacrifice for someone other than ourselves and do the crazy things. Every woman imagines about her life after marriage. A woman wants to get married when she finds a special one who is reliable and cares about her. Then she can be herself, laughs and cries and becomes annoying because she knows someone will always be there. The women’s dream is reflected in funny love quotes: to love someone and annoy him for the rest of their life. Women are very complicated, especially when she falls in love with someone. She says she loves you, but the next moment she can say she hates you. 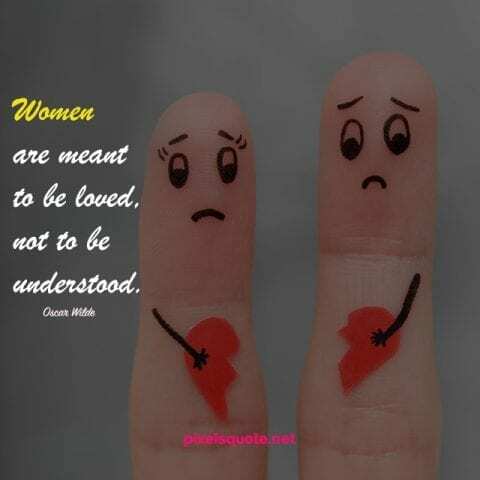 It is hard for a man to understand a woman’s heart. Rather than trying to know her, he only needs to know one thing: she wants to be loved. Women are born complex, but she will be happy as long as she is loved and cared with all of her lover’s heart. “My wife was afraid of the dark… then she saw me naked and now she’s afraid of the light.” – Rodney Dangerfield. 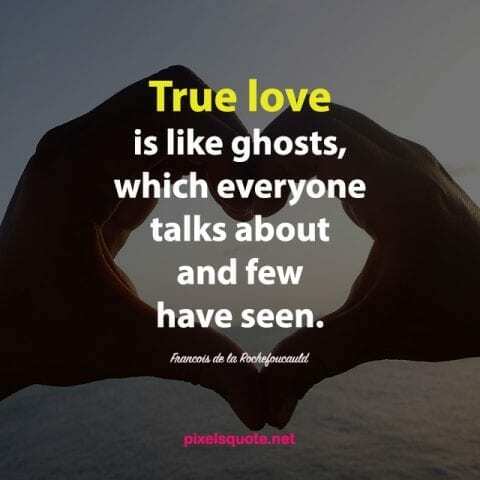 “True love is like ghosts, which everyone talks about and few have seen.” – Francois de la Rochefoucauld. “My best birth control now is just to leave the lights on.” – Joan Rivers. “What’s the difference between a boyfriend and a husband? 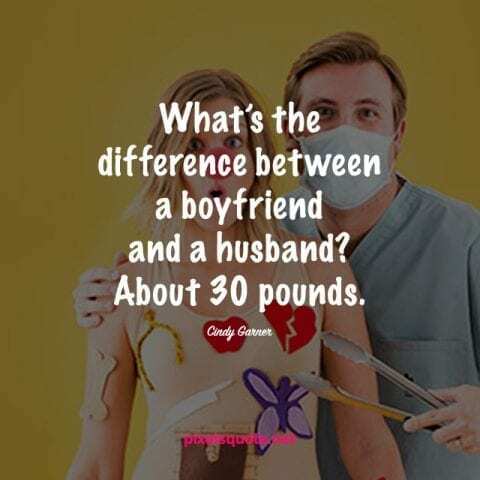 About 30 pounds.” – Cindy Garner. Love is one of the greatest feelings we can have in life. Loving someone teaches us how to be caring, patient and giving without asking for a return. And love is more than just a fancy look. There are smile and tears, happiness and sadness during your love journey. You need to put effort, prepare for the future and – most of all – love with all your heart. 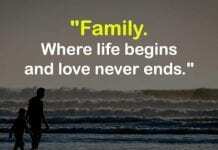 Funny love quotes contain the inspirations and lessons behind the simple and amusing words. Through these quotes, you know the power of love and the reality of marriage. Using these quotes is also a great way to encourage yourself when facing challenges and add flavors to the sweet called “love”. “I recently read that love is entirely a matter of chemistry. That must be why my wife treats me like toxic waste” – David Bissonette. “I love you no matter what you do, but do you have to do so much of it?” – Jean Illsley Clarke. “What’s the best way to have your husband remember your anniversary? 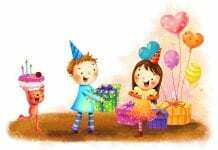 Get married on his birthday.” – Cindy Garner. “Honesty is the key to a relationship. If you can fake that, you’re in.” – Richard Jeni. “My wife gets all the money I make. I just get an apple and clean clothes every morning.” – Ray Romano. “I love you more than coffee, but please don’t make me prove it.” – Elizabeth Evans. “Love is an ocean of emotions entirely surrounded by expenses.” – Thomas Dewar. “Women cannot complain about men anymore until they start getting better taste in them.” – Bill Maher.